General Chat is a podcast about passion. Passion is the feeling that drives fans to devote hours to something. It's what motivates folks to camp for a rare mount spawn, to solve every puzzle, to romance that one extremely difficult-to-romance character. 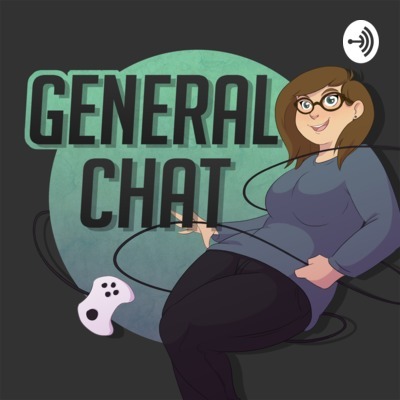 General Chat seeks to explore the passion behind fandom with in-depth interviews every week. This is a pure Critical Role fandom talk episode! We talk about how he feels about his responsibilities to the community, the surreal experience of meeting online friends in real life, and the origin story of your, my, our Beloved ArseQueef. This week's guest is Aliandrask. We end up getting into some discussion about depression and isolation so if you are sensitive to those topics please be aware that we talk about them in this episode. We talk, like typical podcasters, about why she started podcasting, about taking a moment to appreciate the amount of thought that goes into game lore, and unlearning self destructive thoughts. This weeks guest is Bonnie Qu! We talk about how Bonnie got into esports writing, the importance of team and fan interaction in Overwatch, and our very embarrassing early fandom experiences. Hi guys! I’m on vacation this week so I recorded a short talk about arcades and what they mean to me. Enjoy! This week's guest is Michael M Garrett my long time friend and all around nerd. In this episode we trade insults, gush over Kingdom Hearts and Studio Ghibli, and Michael shares his love of Shadowrun with me while I insult all Shadowrun players by calling it "Mall Goth D&D". Today's guest is a positive force in the streaming world, a kind and funny human being, it's Kikibunny! Today's episode is audio from Overtalk, a bi-weekly twitch stream hosted by @AtomicZiomara and I. We discuss last week's games and OWL news. Today's episode features twitch streamer Trogdor. We talk corny games, MTG, and streaming struggles. We return from hiatus with @Salfademas, who shares some sweet Warcraft memories. On this short but sweet inaugural episode of General Chat I sit down with my Guild Master Lepus and talk about his experience with video games.